The modern action film, with all the digital flash and flair, gunfire and explosions, isn’t much different from the action films of the past. Look all the way back to the classic western film and you’ll see that the themes are all very similar. How many times has the lone-hero-seeking-revenge been done? “John Wick” is a new action figure composed of many of the old classic hero tropes, except John Wick’s comeuppance is far more methodical and swift than others like him. Think of Arnold Schwarzenegger in the 1980’s film “Commando”, where the retired Black Ops specialist takes out an entire island of bad guys; John Wick is faster. Think of Jason Statham in the “Transporter” films, where the precision driver takes on scores of tough guys with every martial arts move in the book; John Wick rarely needs more than one move. Perhaps a worthy movie scene comparison would be Bruce Lee in “Enter the Dragon”, except replace Lee’s nunchaku with a handgun. “John Wick: Chapter 2” knows exactly what it is, and it doesn’t waste much time getting into the action. The film starts up quickly, on the heels of the last film, with a vehicle chase on the city streets. We find John still trying to get out of the killing game, of course by killing his way out. Though John, still referred to as “The Bogeyman”, doesn’t have much time to rest. A blood promise, one arranged to free him the first time around, pulls him back in and sends him overseas to make good on a contract. However, this contract has the potential to keep John in the killing business for the rest of his life. 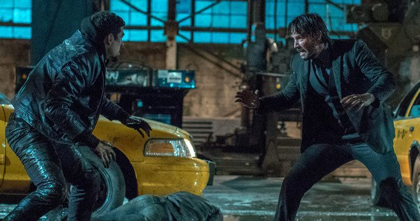 While much hasn’t changed in terms of character and theme, John Wick is still nonchalant and vengeance is still the primary motivator, the world has expanded with delightful results. In the first film one of the most interesting aspects was how the world of the contract assassin worked, “John Wick: Chapter 2” provides some behind the desk insight. Writer Derek Kolstad does a great job restraining this aspect of composition; we are given brief insights into the operations of the assassin society and how a contract for a target is made, but it’s never overdone. Too much exposition would take away from the primary reason this movie exists, which is the satisfaction of the bullet ballet. Sequels are always bigger and bolder. While the body count is bigger, the locations and designs of where and how John Wick wreaks destruction are much bolder. A subway car, a foreign nightclub, an art gallery carnival mirror maze, if you could compose an action scene in a striking location director Chad Stahelski has probably already thought of it. 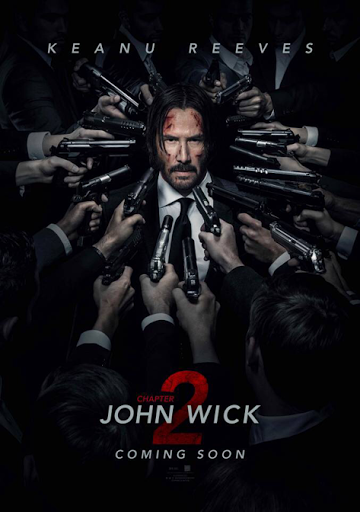 While these decisions make everything look fantastic, there are times when it also feels like a big distraction; a new place with interesting designs to keep you from noticing the repetition of John Wick’s effective combat. In the latter few minutes of the film these aspects become especially noticeable, though there are still quite a few exceptional compositions like two men vying for an upperhand in a subway station. It’s what this film aims to be, comic bloody mayhem. 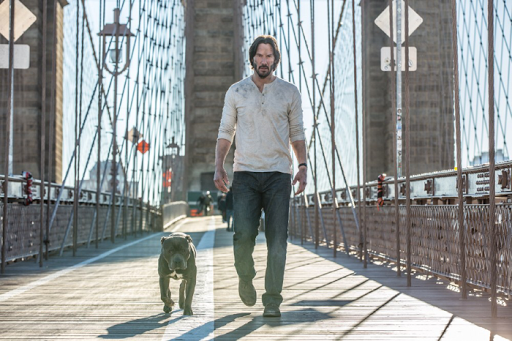 “John Wick: Chapter 2” continues to embrace its B-movie action film persona. 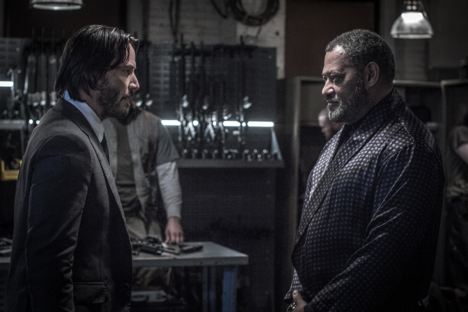 While the production value has been upgraded to A-list standards, the core of the film still relishes in the mayhem it inflicts on everything and everyone that gets in the path of John Wick. If you are a fan of the first film, this bloodier sequel will not disappoint.